Our chiropractor performs more than just adjustments to help with back pain. In fact, we offer pediatric chiropractic, prenatal chiropractic, and various physiotherapies. Our services at Brechbill Chiropractic, serving Canton, OH and the surrounding region, help you heal from injury and reduce your pain if you have certain conditions. Not to mention, we offer services that prevent pain and certain health conditions in the future. We offer chiropractic adjustments to our patients to relieve back pain. 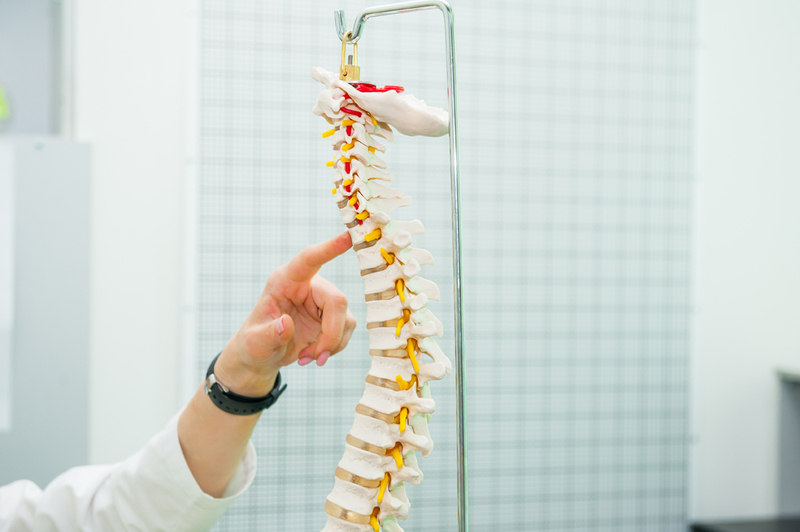 By manually moving the vertebrae in your back, our chiropractor assures they align with the discs in order to relieve pain and discomfort. We also offer physiotherapies. During physiotherapy, our chiropractor guides you through exercises that stretch, strengthen, and enhance function in the affected area. Soon, we're going to offer cold laser therapy, a treatment that uses a cool, nondamaging laser to stimulate the muscles and other soft tissue. It promotes healing where the laser touches. We specialize in the Webster certified technique, which is an adjustment technique intended to reduce the effects of sacral subluxation, particularly in pregnant women. Our Webster certified prenatal chiropractic services help to promote a healthy, happy pregnancy. Chiropractic care during pregnancy reduces your pain and discomfort including back pain. If you suffer from headaches or migraines during your pregnancy, chiropractic treatments can help. Additionally, our chiropractor can assist if you have sciatica. You may experience sciatica during the first or third trimester, and by having an adjustment, it can relieve pressure on your sciatic nerve. By reducing your pain and discomfort, you decrease stress on your developing baby. Keep in mind, the chiropractic treatments may encourage an easier delivery as well. Our family chiropractor also treats pediatric patients. Our pediatric chiropractic services are conducted by a practitioner who is CACCP (Chiropractic Pediatric 200 Hour Certification) certified through the ICPA (International Chiropractic Pediatric Association). Since our family chiropractor is CACCP (Chiropractic Pediatric 200 Hour Certification) certified through the ICPA (International Chiropractic Pediatric Association), he can execute adjustments and other chiropractic treatments on children safely and effectively. He understands the complexities of conducting chiropractic care on children and the best methods to ease a child's mind about chiropractic treatments. He even understands the most effective exercises for children that reduce their pain. He's able to detect scoliosis and even determine the best course of action if your child has it. At Brechbill Chiropractic, we take great pride in providing the finest chiropractic wellness care to our patients. Below is a sampling of the different chiropractic services we offer in our Canton office. We provide spinal correction utilizing gentle chiropractic techniques. Never in the history of chiropractic have we been able to provide the level of help and expertise that now exists. These newer correction methods are even safer, more comfortable and more effective than ever before. As a Doctor of Chiropractic, Vincent Brechbill has years of training and experience in spinal adjustment. We provide specific recommendations on nutritional supplements and healthy food choices to enhance our patient´s return to optimal health. Do you know which supplements and vitamins are good for you? Do you know how these supplements and vitamins interact with one another? Vincent Brechbill can provide a structured nutritional program based on your individual needs.